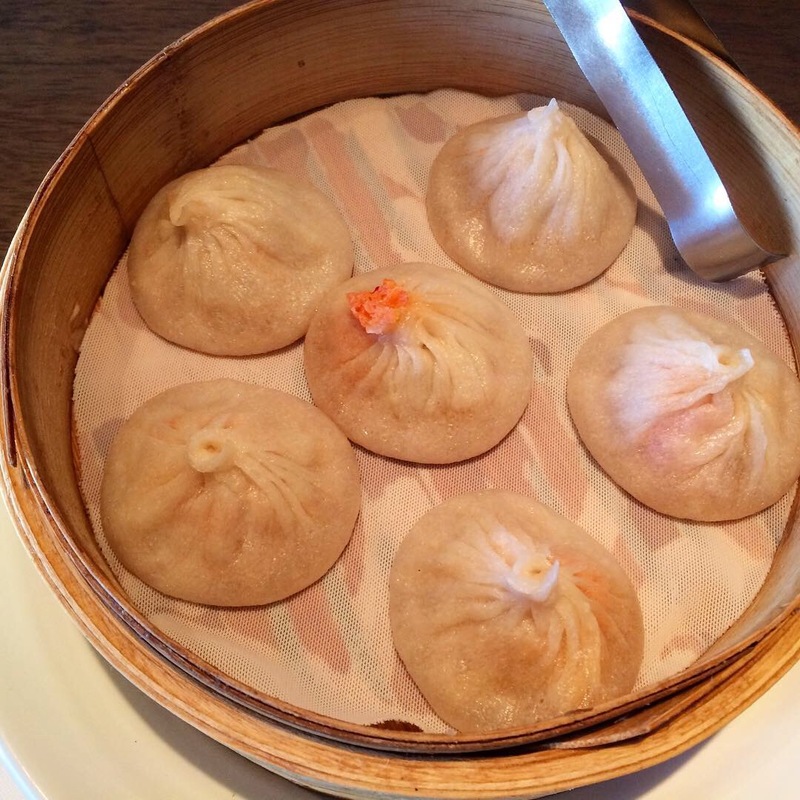 Soup dumplings, Xiao Long Bao, XLB, 小笼包, call them what you will, are universally prized regardless of the appellation. Literally “little basket bun” because they’re steamed and served in a little basket often made of bamboo, the wrapper encloses a tasty meatball (usually pork), sometimes with the addition of crabmeat and/or crab roe, swimming in a rich broth (usually pork). Fans champion just the right skins (a little elasticity, not too thick but not so thin that it breaks upon dislodgment from the steamer), just the right filling (flavorful, proper consistency, and moist unto itself), just the right soup (savory and porky, not playing second fiddle to the meat), and just the right ratio of soup to filling. In short, sort of like Goldilocks’ appraisal of Baby Bear’s personal effects: “juuuuuust right”. 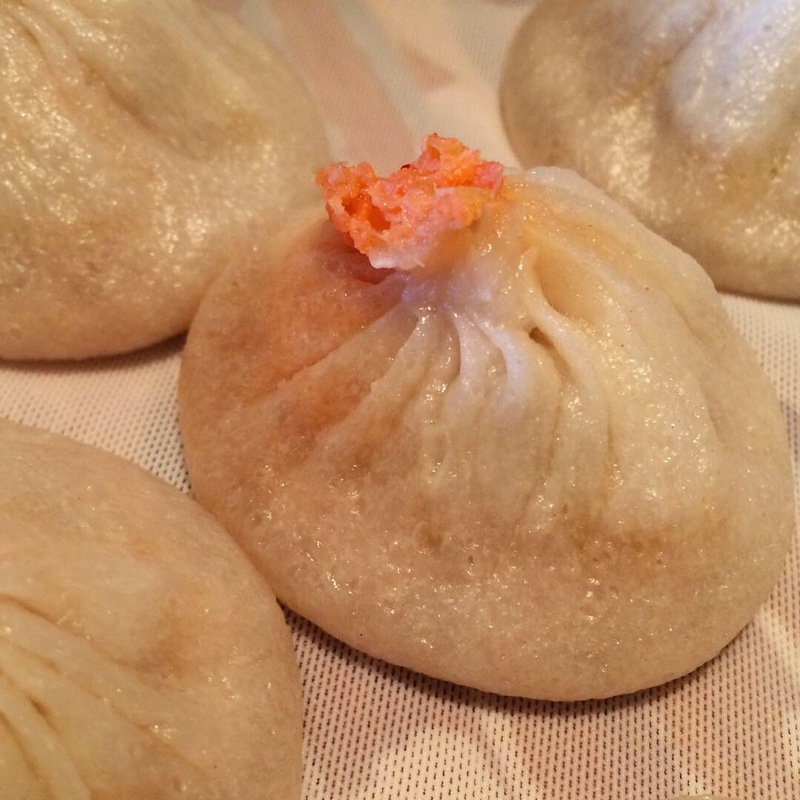 An oft-cited favorite purveyor is Kung Fu Xiao Long Bao, 59-16 Main Street, Flushing. 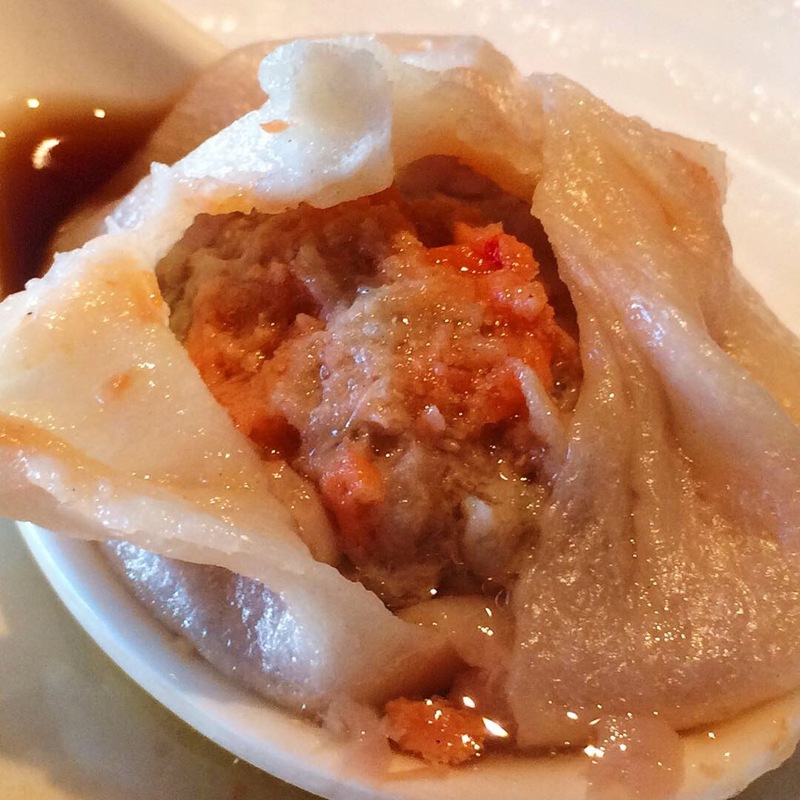 On this visit, we ordered the Crab Meat XLB, pork with minced crab meat and roe. The salmon colored bit of crab roe peeking out of the topknot is the telltale clue as to what awaits within. Beyond the XLB (and the dessert vrersion) their menu is full of wonderful options – cumin beef, noodle soups, shrimp and egg, etc. An excellent restaurant!